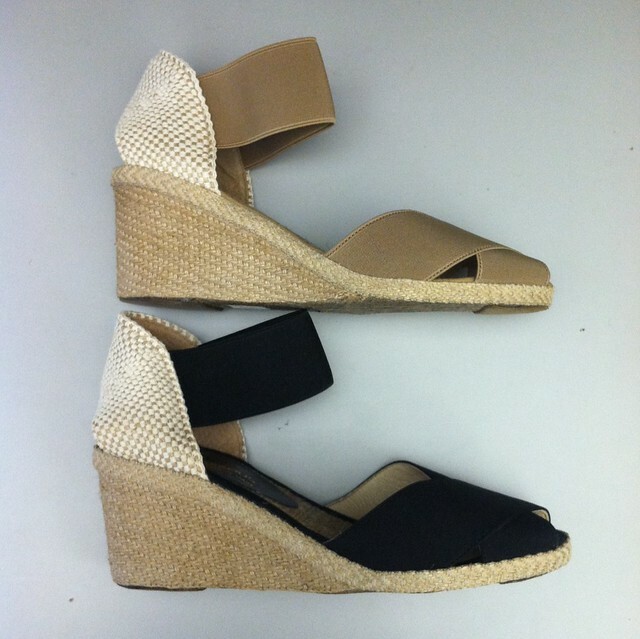 Late last week, I found these Andre Assous espadrilles on sale while searching for a replacement for my favorite spring/summer shoes from last year (see my post here). I’m not familiar with this brand but some quick googling dubbed the designer as the ‘King of espadrilles’. Click here to view the soles from a stock image online. I jumped on two colors because the original retail price is $155 per pair but the taupe color was $68 and the black pair was $49.57 through Amazon. They arrived in two days because my friend shared her Amazon Prime account with me (love free two-day shipping). This model is still full price on the retailer’s website and other websites so I’m not really sure why they are on sale at Amazon. At the time I didn’t question a good thing and my size was low on inventory. I’ve worn these around the house and they are true to size and very comfortable. 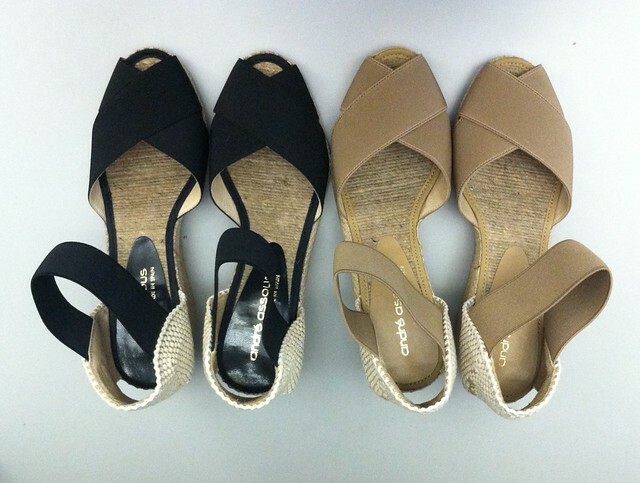 The ankle straps are a little loose so if you have thin/small ankles then they may not work for you. In the summer my feet/ankles expand a little from the heat and prolonged standing/walking so I think this will work out really well for me. I’m glad I got both colors because black is currently sold out in my size. Surprisingly the navy pair which is full price is almost sold out. 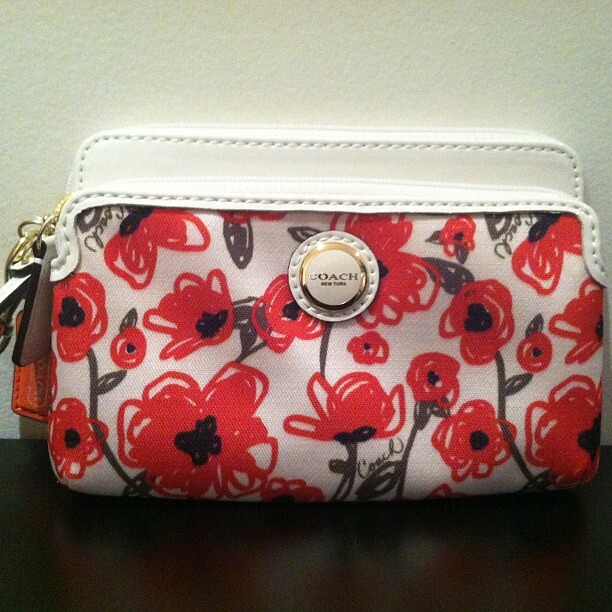 This past weekend I also came across this Coach Poppy wristlet. I adore the poppy print a lot but I’m not much of a small bag/wristlet kind of girl so I’ll be mulling over it until this long weekend. The front pocket is meant for your cellphone and the second compartment has slots for a three credit cards. The only thing I don’t like about this wristlet is the fact that it’s fabric and not something more durable. Oh forgot to mention- the fabric verses leather – if you plan on using it a lot- then I say go with leather. Thanks Annie! :)I'm afraid that I won't use the wristlet as much since the fabric could snag/stain. I will probably return it even though the print is so adorable. Thanks Chrissie. Was yours fabric too? It doesn't seem as sturdy as the signature print fabric wallets either. Mine is one of the signature print wristlets, so I think the fabric is different and somewhat sturdier. The signature fabric wristlets are really well made. I think the scales are tipped toward returning mine. 🙁 I didn't even get it on sale anyway. I'm already tired of the dirty gray piles of snow. 🙂 The view this morning was nice. Very picturesque until you start commuting and wishing it was anything but snowing.Today I put the wristlet back in the tissue paper. It's going back for sure.